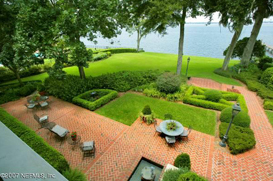 Gainesville Florida Real Estate has a large selection of beautiful homes offering waterfront views. A large number of natural lakes combined with some of the best homes available in North Florida provide a wonderful destination for any potential buyer to call home. Our commitment to finding the best Real Estate in Gainesville makes it an easy process to make your waterfront dream home a reality. So if you want to wake up to that perfect waterfront lake view, contact us at Florida Homes Realty & Mortgage for the best properties available.